JMD Computer Review 2019: Is JMD Computer a Good Hosting? JMD Computer is an Indian outsourcing company that offers a suite of web solutions such as web development, SEO, and graphic design on top of domain registration and web hosting. They leverage their vast experience in offshore development and project management to deliver the best ROI to their customers. Gujarat-based JMD Computer provides premium web hosting, reseller packages, Linux VPS, dedicated servers, and domain registration alongside value added services such as web development, Microsoft technologies, and online marketing. Most of us love freebies, but I know this may sound too good to be true to some of you. When you transfer your domain to JMD Computer, you’ll get six months web hosting for free. You’re also eligible for free add-ons and services worth over a hundred dollars with every domain name you register with them, in addition to two free personalized email addresses with spam and anti-virus filter. From your email account, you can create mail forwards and redirect incoming mail to existing email accounts. When it comes to building your website, you have two options. 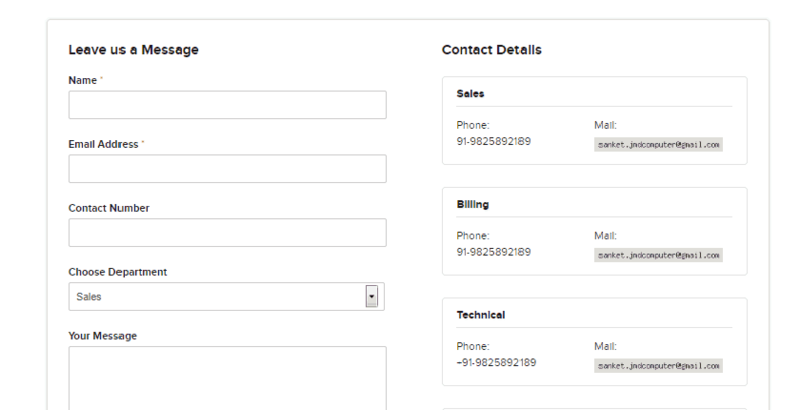 You can create a simple website using their intuitive website builder with over 170 responsive themes or deploy any of the 50+ CMS scripts via the Softaculous app installer. I would suggest that you use their website builder to create and publish your website if you’re a newbie. In case you want to build a database-driven website or blog, WordPress and Drupal will serve you well. But if it’s a store you’re building, Magento or ZenCart will suffice. You can go one-step further and backup up your website with Codeguard Website Backup, then secure it with SiteLock and their premium SSL certificates before it goes live. I know many customers dread moving to a hosting service provider with a not-so-friendly control panel. 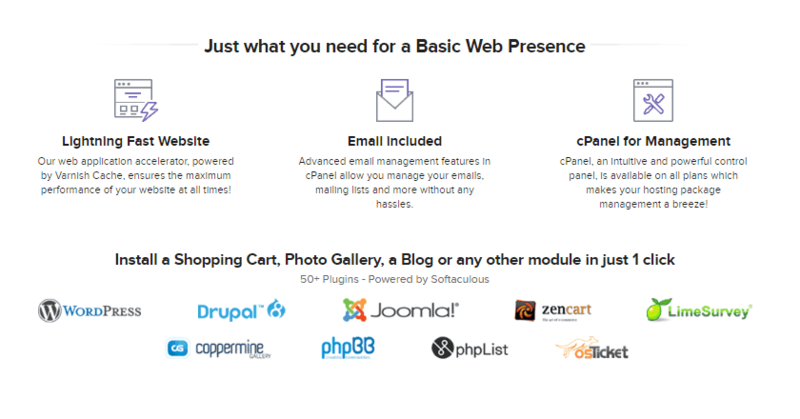 With JMD Computers, you get the user-friendly cPanel which lets you manage your domains, emails accounts, websites, databases, files, and even payments from a central place. This panel is available on all of their plans. On top of that, you get a free lifetime DNS service which you can use to manage DNS records, register new domains, renew expired ones, or transfer domains to their servers. JMD Computer’s hosting packages are among the cheapest in the market. They’re also backed by a 30-day money-back guarantee. You can give their starter package a try and then pay in full if you’re happy with the features and offerings. With the exception of WordPress-powered Cloud hosting, you can upgrade all of their shared hosting plans and dedicated servers to higher level ones at any time. Support is pretty good. You can consult their detailed knowledge base for simple problems or reach out to their English-speaking support team via telephone or email if you’re struggling with complex hosting problems. JMD offers low-cost shared hosting packages with the user-friendly cPanel which comes with a ton of awesome features. Order Risk-free Hosting Package Now! Wondering how JMD Computer stacks up against other Web Hosting companies? Enter any other Web Hosting company and we will give you a side-by-side comparison.